El Salvador might seem a strange place to start a watch story. The Central American country, along with its neighbouring Guatemala and Honduras, is seen as the centre of some of the worst crime in the world. Of a population of around 6.5 million, there are approximately 25,000 active gang members at large, with another 9,000 in prison; it’s also estimated that 60,000 young people belong to gangs. The most notorious of these maras (a Salvadoran Spanish term for gangs that spread to the country from the United States) are MS-13 and Calle 18, who have been locked in a gruesome war since the 1970s and are a large contributing factor to the Central American northern triangle having the highest homicide rate in the world. Roaming death squads such as Sombra Negra carry out vigilante justice and extrajudicial executions of suspected gang members, their activity mirroring that of the gangs they purport to fight. The murder rate has dropped steadily over the last three years, from a 2015 high of 102.9 murders per 100,000 inhabitants to 60.07 in 2017. However, this is still one of the highest rates in the world, equating to about 10 murders every day, and in 2016, El Salvador was labelled as the deadliest place in the world that’s not a war zone. 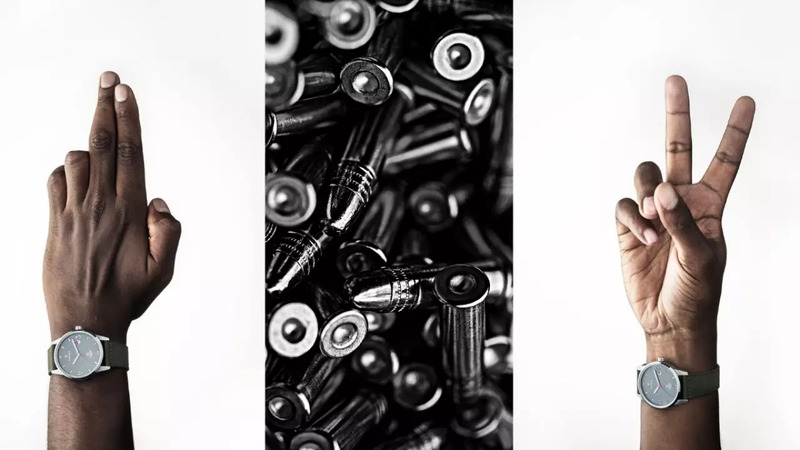 You could say that TRIWA has taken repurposing to a whole new level, developing a watch collection made from the metal of destructed firearms. 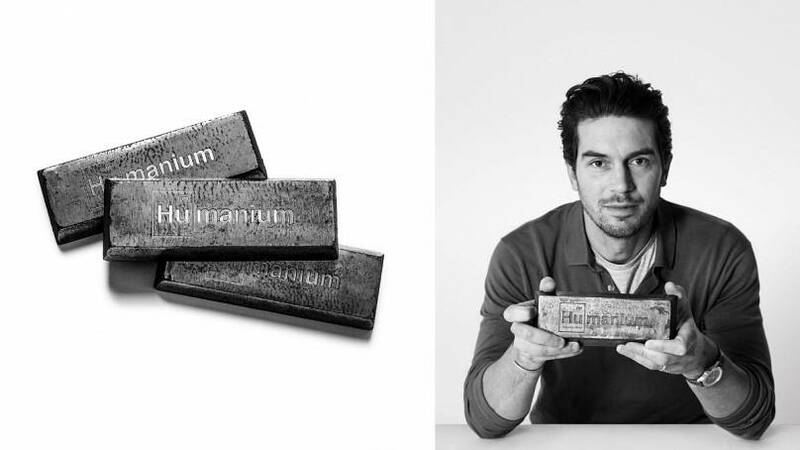 The new material has been named Humanium Metal, and is distributed to commercial projects across the globe in order to fight crime and poverty in the countries that need help most. Humanium Metal forms the basis of 11 new watches for TRIWA, moulded into solitary pieces with contrasting metal treatments. 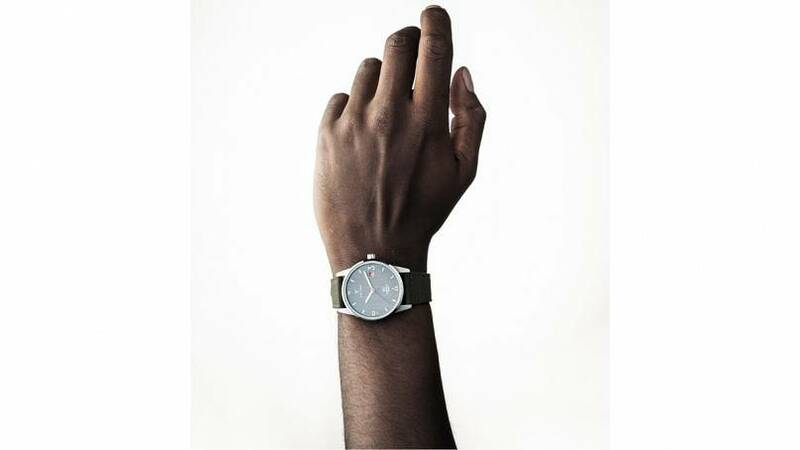 For Scheja, the classic Scandi minimalism remains, but alongside it is a watch with a much bigger meaning: “it combines our aesthetics with a cause bigger and more important than anything we have ever done before. The first weapons destruction programme dedicated to the project was in El Salvador in November 2016. Working closely with the local authorities, a ton of Humanium Metal was produced. 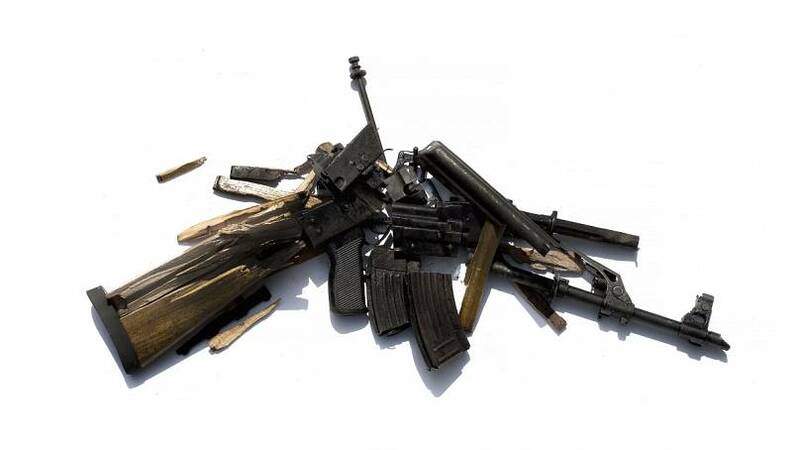 Another batch was made in November 2017, when a further 1,825 illegal firearms were melted down to send to creative brands across the globe, including TRIWA. For its part, TRIWA itself is dedicated to giving back, with 15 per cent of funds made from sales returning directly to the areas from which the guns were collected. By depriving gangs of their guns, and funding a conflict-torn Salvadoran society, the humble watch is helping to support both those who are victims of violence, and those who fight for peace. Not a bad cause to have on your wrist.